The Meru Chakra is one of the most valuable tools used in the science of Vasati, along with the Vasati Pyramid. It has arrived through many years of expert research into ancient Vastu shastras. 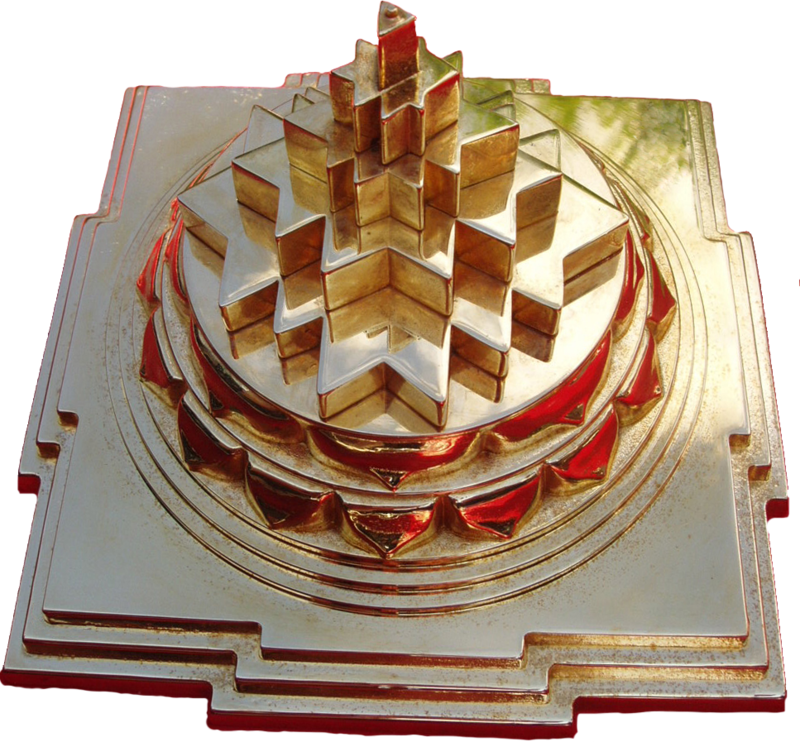 This beautiful pyramid is a 3-dimensional form of the Sri Yantra (occasionally known as the Money Yantra). Carefully cast in a highly specialised heavy-metal alloy and plated in 22 carat gold; the quality materials and precise dimensions used in the construction of this yantra help form a powerful tool that will encourage the generation of positive energy flow. The Sri Yantra is a ‘cosmogram’- a graphic representation of the universal processes of creation, maintenance and destruction. 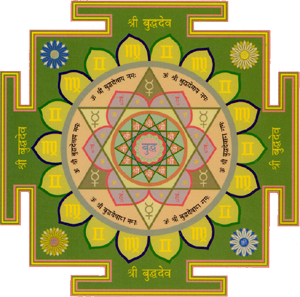 These aspects of the universe are represented by the three circles within the yantra. When these circles are elevated in this 3D form (as in the image above) it stands as a symbol of the Sumeru Mountain balancing the whole universe, and it contains all the worlds situated in the Sumeru Mountain, as described in Puranas. For this reason it is called the “Meru Prastha” or “Meru Chakra”. Spiritual revelations are received here. It includes all knowledge and all elements. Some schools of Vedas explain that this pyramid becomes Maha Tripur Sundari’s divine abode.